Ka-Zar meets Shanna the She-Devil (and future wife) when she is taken to the Savage Land. In Florida, the Thing meets the Man-Thing. Together they defeat the new Molecule Man (son of the original). Nekra, the Mandrill, the Silver Samurai and the female militant group Black Spectre attempt a coup on the US government, but are foiled by Daredevil, Shanna the She-Devil, the Thing and the Black Widow. The Thing and Captain America travel to the year 3014 and meet the Guardians of the Galaxy (1st meeting with 20th C. modern heroes). Together they fight the Brotherhood of the Badoon. The Avengers encounter the now-aged Whizzer and battle his mutant son, Nuklo. The Committee to Regain America’s Principles frames Captain America for manslaughter. The (first) Moonstone surfaces and is presented to the media as a new hero. Charles Xavier, Cyclops and Marvel Girl approach Cap and reveal that the X-Men have been captured by the Secret Empire. The leader of the Secret Empire is unmasked as one of the most powerful men in the American government. 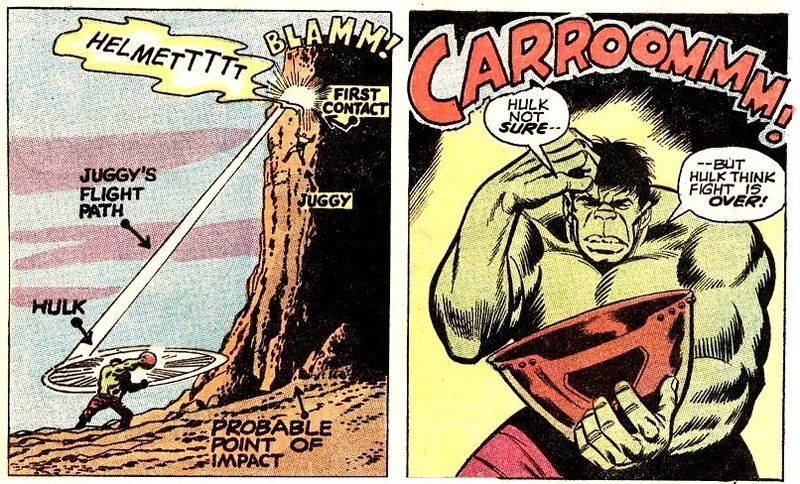 The Super-Skrull attacks Captain Marvel and attempts to drive him mad by tricking him into killing the Thing. When this fails, Thanos appears and takes Rick Jones (& Mar-Vell) to Titan to extract the location of the Cosmic Cube from him, information previously implanted by the Supreme Intelligence. Back on Earth, Thanos defeats Drax the Destroyer and obtains the Cosmic Cube, while Mar-Vell and the Avengers are defeated by the Controller. After humbling Mar-Vell, Iron Man, Moondragon and the Destroyer, Thanos uses the Cosmic Cube to make himself a God. The Avengers are neutralized when they are drawn off-world by Thanos' space-fleet. Finally, Mar-Vell (assisted by Mantis and ISAAC, the Titan world-computer) destroy the Cosmic Cube. Thanos vanishes, betrayed by his lover, Death. Captain Mar-vell is exposed to lethal nerve gas while battling Nitro the Exploding Man. Feeling betrayed by current events in the American government, Captain America gives up his superhero identity as a symbol of America. After an encounter with Hawkeye, Steve Rogers becomes the hero Nomad. Madam Hydra becomes Viper and, with the Serpent Squad, allies with Warlord Krang, now in possession of the Serpent Crown. The Roxxon Oil corporation surfaces. Sent to Counter-Earth by the Inhumans, the Hulk befriends Adam Warlock, who is executed by the Man-Beast and his New Men, but then rises again. In Quebec, the adamantium-laced mutant Wolverine (Weapon X) encounters the Hulk battling the Wendigo. While repairing the time-stream, Mr. Fantastic and the Human Torch meet George Washington. Susan Richards asks Reed for a divorce, but an attack by the Sub-Mariner helps reunite them. In the Great Refuge, Crystal marries Quicksilver but not before the Fantastic Four and the Avengers battle Ultron-7. Franklin comes out of his coma and defeats Ultron. Dr. Strange and Baron Mordo follow the 31st Century sorcerer Sise-neg into the past until they witness the birth of creation. Strange is attacked by the religious zealot Silver Dagger. On the brink of death, he enters an unreal world inside the Orb of Agamotto and frees himself from the consequences of death and aging. Wanda begins studies in witchcraft with Agatha Harkness. Kang surfaces in his quest for the Celestial Madonna. The Swordsman awakens Rama Tut from his suspended animation since 3000 BC. Rama Tut and the Swordsman (joined by Hawkeye) free the Avengers from Kang. Mantis is revealed as the Celestial Madonna. The Swordsman dies protecting Mantis. The Avengers meet Steve Rogers' new identity, Nomad. 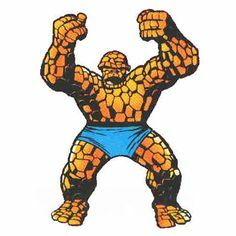 Kang uses Immortus' time technology to form the Legion of the Unliving (Frankenstein Monster (1898), Wonder Man (1964), Human Torch (android)(1954), Midnight (1973), the Ghost (1969) & Baron Zemo (1965)) and pits them against the Avengers in Immortus' Labyrinths of Limbo. Immortus helps the Vision and Mantis learn of their own complex origins. Dormammu is reborn at the Earth's core and imprisons the elder god Gaea (Mother Earth), while Dr. Strange battles Umar in the Dark Dimension. While training under Agatha Harkness, the Scarlet Witch falls under the reborn Dormammu's control. The Vision is sent to the Earth's core and saves her from Dormammu and Umar. In Saigon, Kang tries (and fails) to kidnap Mantis a third and final time. Immortus officiates at the double marriage of Wanda and the Vision, and Mantis with the Swordsman (actually his body inhabited by a Cotati spirit). Strange and Clea free Gaea, and together with the life-force of the Earth, they repel Dormammu and Umar. After battling Nebulon the Celestial Man, the Defenders are joined by millionaire Kyle Richmond, Nighthawk, formerly a member of the Squadron Sinister. The Defenders are aided by Daimon Hellstrom when attacked by Asmodeus. Luke Cage and the Defenders fight the Wrecker's new group, the Wrecking Crew. Galactus’ new herald, Firelord (originally a Xandarian captain), arrives on Earth. Thor & Hercules help Galactus defeat Ego, the Living Planet, who has gone mad. The Destroyer becomes Galactus' new herald. Thor & Hercules face the powers of the Dweller in Darkness. Odin vanishes from Asgard to walk the Earth as a human. Iron Man is caught in a "war of super-villains" led by the Black Lama. 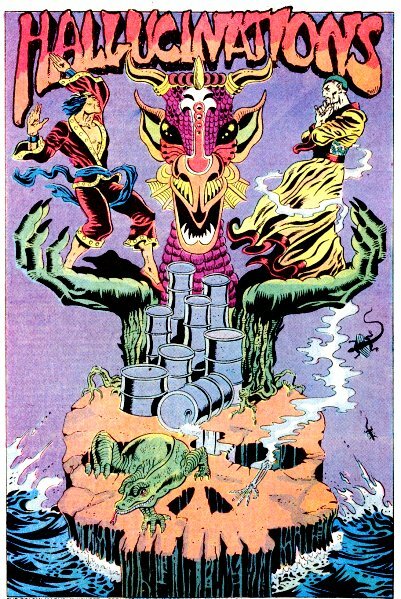 In the first battle, the Mandarin returns to fight the Yellow Claw. Iron Fist (Danny Rand) finishes his training with Lei Kung the Thunderer in K'un Lun and journeys to NYC. He soon meets Colleen Wing, an half-Japanese samurai. Shang-Chi meets Blackjack Tarr and begins working with Nayland Smith's anti-terror group in earnest. Frank Castle, the Punisher, is tricked by the Jackal into hunting down Spider-Man. The Spidermobile makes its debut. Mary Jane Watson begins to get closer to Peter Parker. Aunt May and Doctor Octopus almost get married, but Hammerhead crashes the party. Peter's best friend Harry Osborne becomes the second Green Goblin. In the Savage Land, Spider-Man and Ka-Zar encounter Stegron the "dinosaur man". When Manhattan island is set adrift, Hercules uses chains to drag it back to its normal location (later disproved as a "tall tale"). Peter Parker bumps into Dracula. Later, Spider-Man and Shang-Chi foil a plot by Fu Manchu. The Man-Thing is targeted by the puritanical vigilante, the Fool-Killer. The Man-Thing encounters the Glob. Shortly afterwards, it is captured and displayed in NYC (using Stark technology), but escapes and wreaks havoc. It, the Living Colossus and a reawakened Fin Fang Foom defeat giant alien invaders from Stonus. Morbius, the Living Vampire, is caught in a war between the alien scientist Caretakers and the supernatural Daemond. Gabriel the Devil Hunter (and exorcist) surfaces. Daimon Hellstrom prevents a second Great Cataclysm by traveling to the past and meets the Atlantean sorceress Zhered-Na. He defeats the now-twisted biblical Adam. When the Cat (Greer Grant) is attacked by Hydra agents, she is saved by the Cat People who transform her into Tigra the Were-Woman. The Werewolf arrives and develops an attraction for her as well. Jack Russell is allied with the witch-like Topaz. Dracula & the Werewolf battle over the "Second Book of Sins" (2nd hand formulas from the Darkhold). The Werewolf and the Frankenstein Monster battle when a Satanic cult kidnaps Lissa Russell. Dracula encounters a re-awakened Lilith, his vampire daughter, who now inhabits the unknowing Angel O'Hara. At the Vatican, Dracula kills the monk Montesi, but Montesi has already sent the vampire-destroying formula to Quincy Harker. Rachel van Helsing & Dracula are forced to work together to survive after they crash in the middle of a blizzard. Dracula comes "face-to-brain" with Doctor Sun who attempts to steal Dracula's total knowledge to conquer the world. The vampire detective Hannibal King tracks down Dracula during a case. The cyborg Deathlok the Demolisher is created from the war-ravaged body of Luther Manning (event 1990, recording published in 1974).